Maybe, in your daily life, you have too many different travel needs, such as going to work or school, going shopping or traveling around the town and so on. Then, you must need a type of travel tool and your common transports must be bicycle, bus, subway or private car. What problems do traditional transports have? Congested traffic makes travel time be difficult to control. Crowded passengers may make you uncomfortable. In fact, there is a kind of tool that can solve all of your travel needs, which is Fosjoas two-wheeled electric unicycle. 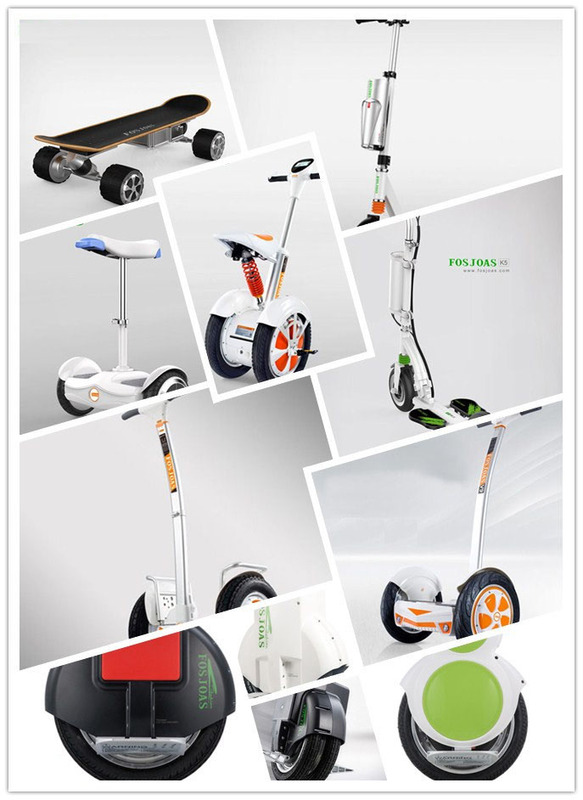 In this series, there are many scooter types, such as U1 mini electric scooter, K2 and K5 standing up electric scooter, K3 sitting-posture scooter, U3 SUV scooter and V9. Fosjoas U1 mini electric scooter comes very first. Just as its name implies, it is very small. The ingenious two-wheeled design makes it a lovely elf in transport market. On the one hand, it can take people and pass through many narrow corridors or small spaces. On the other hand, the small figure and intelligent control principle make Fosjoas U1 the first choice of little children and the elderly. K2, K5 and U3 are designed for long-distance travels. K2 and K5 standing up electric scooters have replaceable battery unit, which means that the battery without electricity can be replaced by a full battery. Thus, unlimited range becomes possible. U3 is highly praised as the personal-exclusively SUV scooter and it is famous for large tyres, big battery and long range. Therefore, many travelers prefer to choose one of them to challenge the nature. Speaking of K3 and V9 electric self-balancing scooter, they are often used as transports for daily use. People can ride them to go to work or to other destinations. Meanwhile, they are suitable for all people regardless of age, gender, figure and height. Next：FOSJOAS electric scooters V5 and U1 are desirable gifts for those who love going shopping.